You guys! It’s the final Friday of September! That means this weekend starts Ryan’s homecoming month! As I’ve mentioned before, I can’t share actual dates or times because of OPSEC, but the countdown is finally really on! I know that’s a whole lot of exclamation points, but I swear that’s how I feel right now. Today, I’m linking up for 5 on Friday with Smidge of This. 1 // My neighbors are moving, and I’m heartbroken. There’s officially a “sale pending” sign on their lawn, and I winced a little when I saw it. 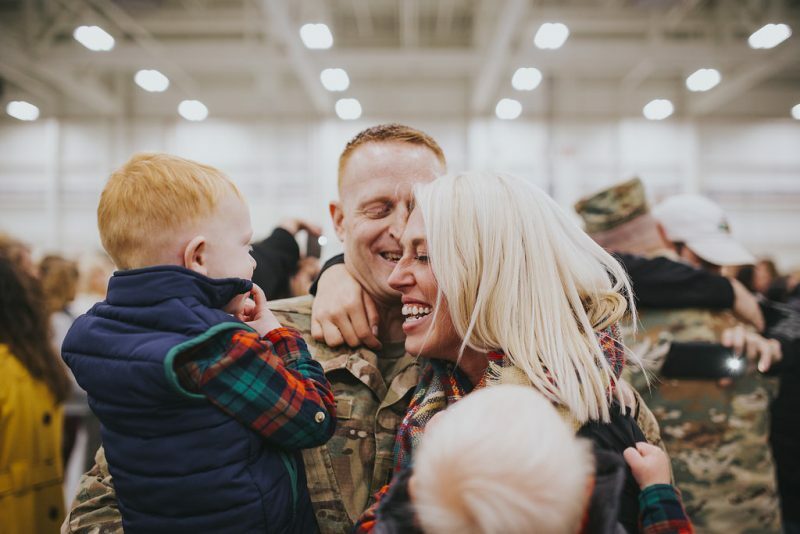 Jo Ann and Mike have been surrogate parents to us since moving to Fort Drum, and though they’re just moving an hour and a half away to Lake Oneida, it won’t be the same! On the flip side though, Nana (that’s what Spence calls her) has been smothering the boys with love lately, and they just eat it up. That’s Spence up there on the tractor the other day with Nana – his happy place. 2 // I made myself a magnolia wreath the other day! You may remember I made some fall wreaths the other day, and I’ve really wanted a magnolia wreath for the house for a while. Mission accomplished! Now I just need to make some more! If you’re interested in buying something similar, look here. 3 // The cooler weather finally hit NNY! It’s been averaging about 62 during the day here right now, and last night hit 39. I’m relishing the cooler weather, and I love the fall breeze that’s finally in the air. Bring on all the warm drinks! 4 // We have a brigade spouse’s Dining In on October 12th, and I have no idea what to wear. I’m thinking of renting from Rent the Runway again, since the theme is Little Black Dress with a touch of witch and wizard’s attire. What do you think? Yay or nay? Have a great weekend, wonderful friends! Next Post it’s homecoming month!